Taking its title from the capital of Andalusia, the new and exclusive Fusion Seville furniture from Pure Bathroom Collection draws inspiration from Spanish bathroom style for 2015. Just as this country is known for both its historic and avant-garde designs in fashion, architecture and interiors, this look is based on traditional style, but has a contemporary twist. This Modern Mediterranean look maintains the warmth of traditional Spanish interiors and its characteristically minimalist style but introduces each in new ways. The result is an aesthetic which is simple yet welcoming, minimalist yet warm. The homely atmosphere created by traditional rustic Spanish design is incorporated into the new style through the use of natural materials and a palette of sophisticated yet inviting neutrals and the Fusion Seville furniture is available in a selection of authentic finishes including Black Cortina Oak and Pacific Walnut. These neutral tones feature textured effects guaranteed to add all the warmth of the Med. The minimalist style of classic Spanish interiors is also maintained in the new look and the wall hung units in the Fusion Seville range boast a streamlined outline. 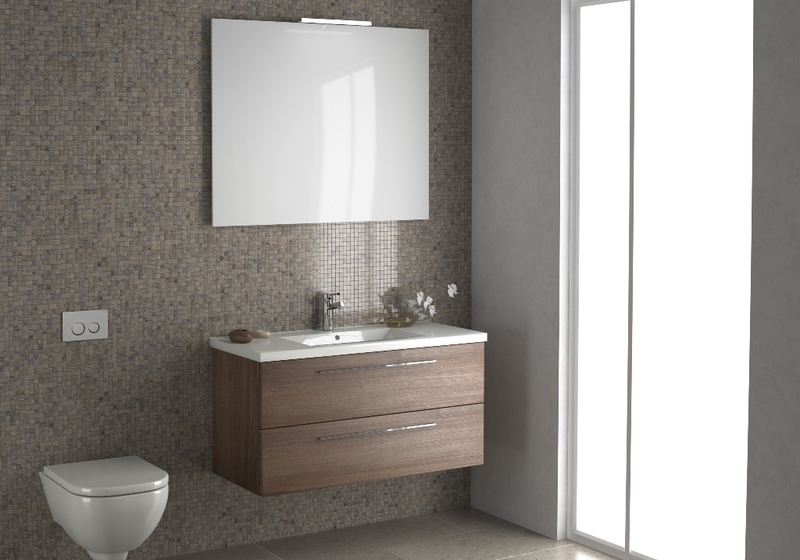 Wide, slim handles and a horizontal wood grain combine to enhance the linear design further. Fusion Seville Furniture in Pacific Walnut. 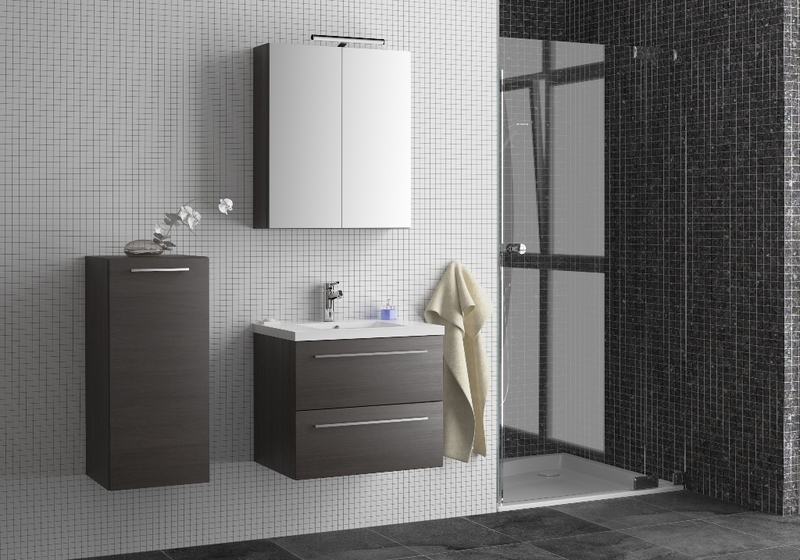 1000 Unit – 2 Drawer unit with basin, wall-mounted. 990 x 500 x 445mm. Mirror – with single light, 1000 x 800).